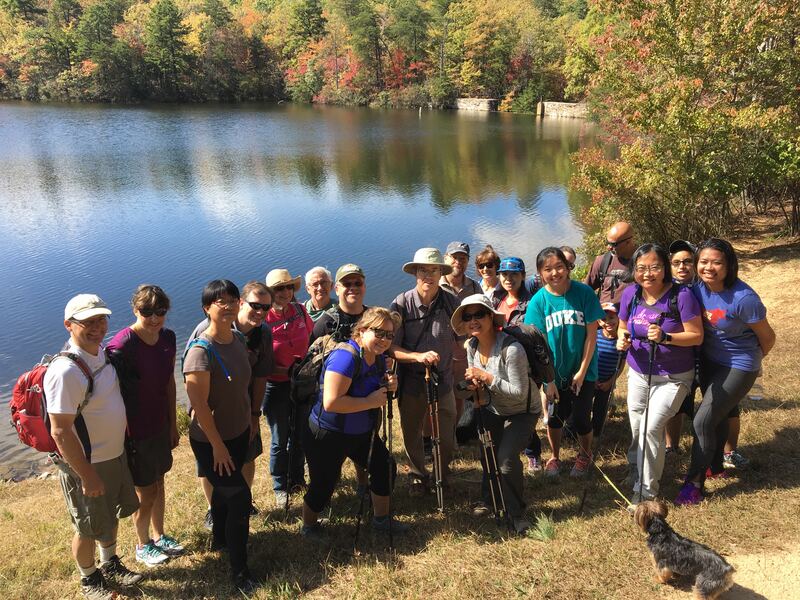 This winter, go long - GetGoing NC! It also makes for a great day hike — a great long day hike. 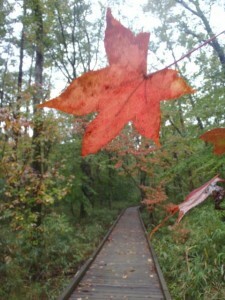 The key: you just have to know the right place to take your long hikes. That place being the warmer, flatter coastal region. 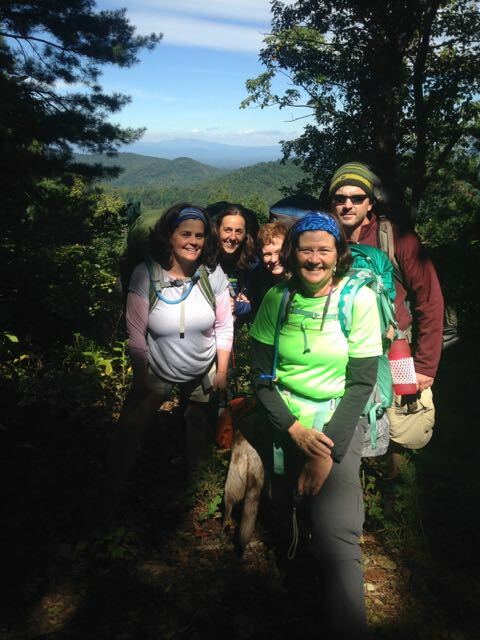 As luck would have it, there are some great long-hike options along the North Carolina and Virginia coasts. Another reason to give these a try in wintry weather: it’s the only time you won’t be joined by flitting, biting, slithering, stalking creatures who keep a low profile below 60 degrees. 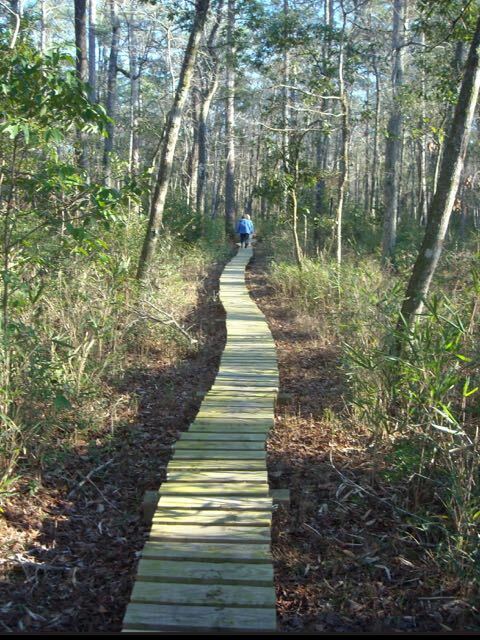 Neusiok Trail | Croatan National Forest, 21 miles, Havelock, N.C. Part of the statewide Mountains-to-Sea Trail, this hike has a ripple or two on the northern end; otherwise, it’s smooth, flat sailing on a mix of trail and sandy roads penetrating pine savannah and the occasional bay bog. The ripple at the north end? 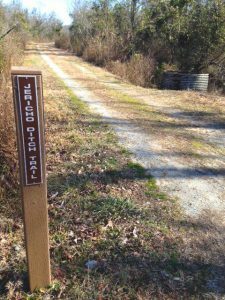 The trail begins beneath a stout bluff overlooking the mile-wide Neuse River, then rolls through seemingly displaced terrain that includes a run of holly and a patch of galax, among other Appalachian flora you don’t expect to find at the coast. Keep an eye peeled for the rusted stills that once bolstered the local economy. More info here. 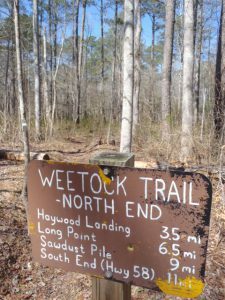 Weetok Trail | Croatan National Forest, 11 miles, Maysville, N.C. Ever wish you lived back when the very first human explorers reached the coast? When everything was a mystery, when there were no maps and no blazes to help you make your way? Well, good news, friend — the days of true adventure live on on the Weetok Trail. 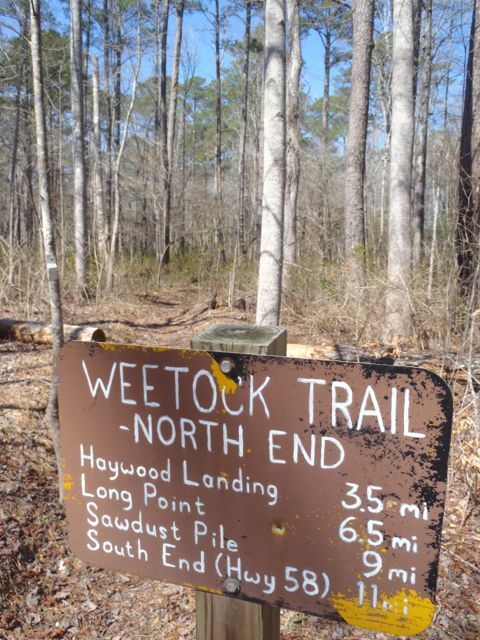 The Neusiok’s lesser-known Croatan cousin, the Weetok starts marked (there’s event a sign! ), and then … . After that, here’s hoping you have a good map, a compass and the skills to use them. (Good indicator of the trail’s navigability: the 2014 Weetock Trail Race gave participants engraved machetes.) The easiest (possibly only?) 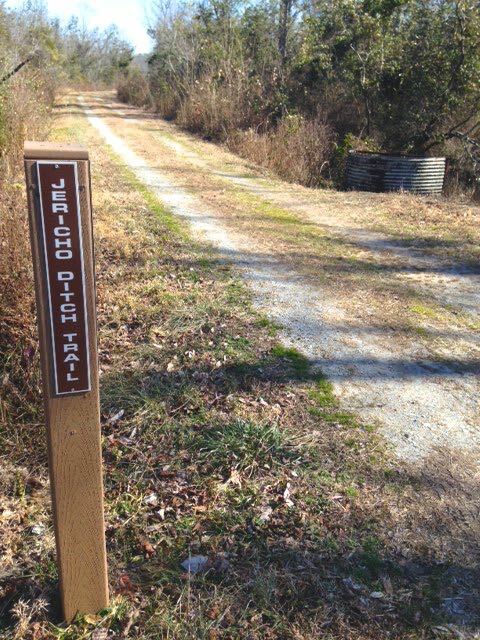 place to pick up the trail is from the Haywood Landing Boat Ramp off NC 58; details here. More info here. Merchants Millpond State Park, 10 miles, Gatesville, N.C. We’d been paddling at Merchants Millpond for 15 years before we even knew the park had hiking trails. But trails they have, and by looping together the Bennetts Creek, Coleman and Lassiter trails, you can loop together a 10-mile hike through very gently oscillating terrain that includes a brush with Lassiter Swamp, the 760-acre millpond for which the park is best known, to a rich ecosystem thick with pines and lowland hardwoods conjoined at the trunk via a dense web of understory. A great spot for birding and wildlife viewing in general. More info here. Great Dismal Swamp NWR, 80 miles, Suffolk, Va. Look at the trail map of the Great Dismal Swamp NWR and the ruler-straight trails occasionally teeing into one another or meeting at right angles may not seem all that appealing. But for sheer escapism on a winter’s day, it’s hard to beat these gravel roads that demand little attention and allow the mind to drift in whatever direction it chooses. These long corridors through the 175-square-mile swamp invite a variety of wildlife sightings, from the more than 200 species of birds that either reside permanently or visit for the winter, or, if you’re fortunate, a black bear. More info here. 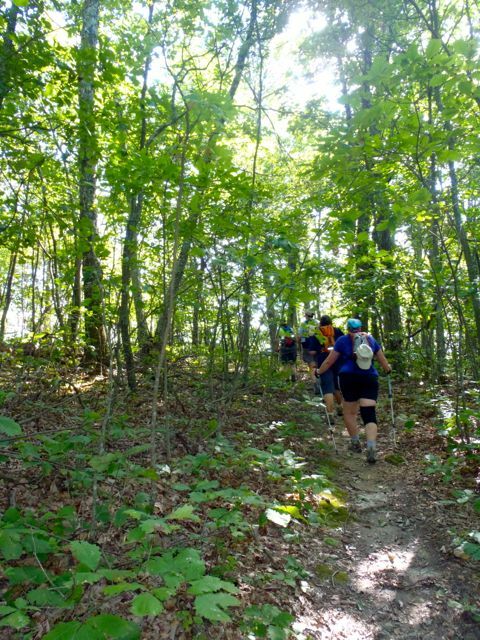 False Cape State Park, 7 miles+, Virginia Beach, Va. Talk about a daylong commitment: just to get to the park, you have to hike 3.5 miles through the adjoining Back Bay National Wildlife Refuge. From there, the 6.2-mile Sandy Ridge Trail goes down the center of this barrier island, with various short (generally less than a mile) trails spinning off of it. Some take you to Back Bay through maritime woods, some take you out to the Atlantic. Go from November through February and you’ll likely see few other souls: the tram service that otherwise hauls visitors in runs only occasionally in winter. More info here. Holly Shelter Game Lands, 19 miles, Hampstead, N.C. There’s something almost midwestern in the wide-open spaces that define this 63,500-acre gameland between Wilmington and Jacksonville: stand at the corner of the dusty Lodge and New roads, look north, and you half expect to see a crop duster gradually materialize and take a swipe at you. The stretches of barren terrain are offset by dense coastal forest, making for an interesting contrast on this 19-mile run, part of the Mountains-to-Sea Trail. More info here. For information on our December Neusiok backpack trip, visit GetHiking! 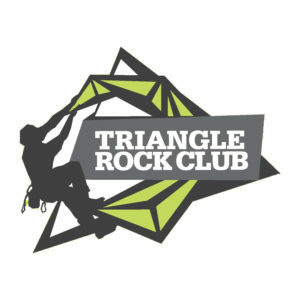 Triangle here. And keep an on your local GetHiking! site for more long hikes at the coast this winter.